Every now and then, you hear of a situation that captures just how complex calculating how much FMLA leave an employee takes can be. One recent case did just that. A company had an attendance policy that defined unauthorized absences as those that were not approved, which seems perfectly logical. Barring an emergency, employees were expected to provide a written request for leave to their supervisor. If an employee missed work due to an illness and received an unexcused absence, he or she could have the absence later treated as excused by giving proper medical certification to the supervisor. For emergencies, employees could call in and subsequently provide a formal time off request after returning to work. Employees were expected to call in at least an hour before their shift started. Otherwise, failure to do so could result in an unexcused absence. Murray, an employee, was injured at work and placed on light duty for about a week, which was extended for two more weeks. He later provided a certification. His leave was extended again and again. He subsequently provided a new certification supporting the leave, but the company alleged that it did not cover all of his absences; leaving two days unexcused. This resulted in discipline. Despite his failure to provide a certification to cover those two days, the company sent him an FMLA designation indicating that his FMLA leave had been approved since his first absence through an unknown time – including those two days in question. Regardless of the designation, Murray was suspended and terminated. He sued arguing that his FMLA rights were interfered with, that the employer granted him FMLA leave for all of his absences, so he should have no unexcused absences. The employer argued that Murray was terminated for violating the absence policy because he did not provide sufficient notice of his intent to take leave on those two days in question, since employers may require employees to comply with a company’s usual and customary notice and procedural requirements for requesting leave, absent unusual circumstances. Part of the complication lay in the fact that the company designated all of Murray’s leave as FMLA leave, leading him to believe that all his leave was protected. Because of that protection, he would not have any unexcused absences and, therefore, would not have had enough to warrant termination. The court generally ruled in favor of the employee because of the material facts surrounding Murray’s termination. The lessons to be learned from this case is to ensure you identify absences that truly qualify for FMLA protections and designate only those that do qualify, and that everyone involved in the FMLA process is on the same page. These actions can help avoid some FMLA complications. 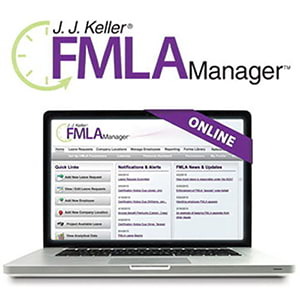 Calculating how much time actually qualifies for FMLA protections can be challenging, particularly when the leave or certifications supporting the leave occurs in fits and starts, and you’re left trying to connect the dots. It doesn’t help if there is disagreement regarding designation and it is acted upon. This article was written by Darlene M. Clabault, SHRM-CP, PHR, CLMS of J. J. Keller & Associates, Inc.